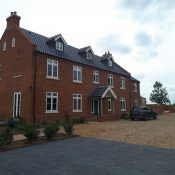 Our customer was converting a barn with no existing heating supply, to become his main home. 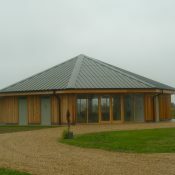 He was interested in installing a Ground Source Heat Pump with underfloor heating fitted to both the ground floor and 1st floor levels of the barn, in addition to installing Solar Thermal to assist in heating the hot water. 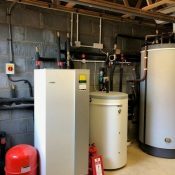 A NIBE F1145 8kw ground source heat pump was installed in an out building which was about 2 meters from the property, with the hot water cylinder installed inside the barn to reduce the hot water draw-off. ‘Low loss’ pipe work was installed below ground to connect between the structures. He was familiar with renewable technologies and wanted to install a system which was going to provide an excellent and consistent heat level with low energy bills. 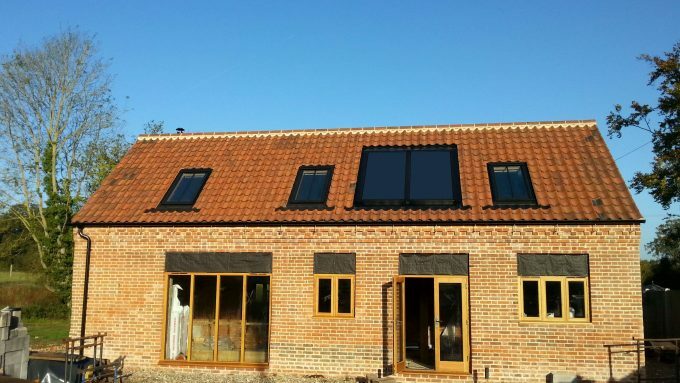 Our customer was looking to install solar thermal, as to heat water it requires a huge amount of energy, therefore, NIBE FP215 solar thermal panels were fitted to compliment the heat pump. Solar water heating systems are an ideal way to reduce energy costs associated with heating water, rather than relying on fossil fuels. 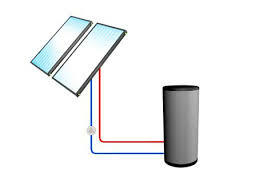 In the case of solar thermal panels, the sun’s energy is used to heat water stored in a hot water cylinder and drawn off when required. The solar panels and the pipework to the cylinder were installed very early in the project so the roof and the plaster boarding could be finished. He chose to have the solar panels integrated with the roofline whilst he was converting the barn, to give an aesthetically pleasing finish. 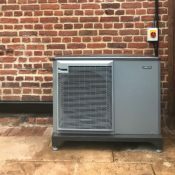 During the post installation follow up, our customer commented after the installation that the barn was too hot and therefore the settings needed to be adjusted to suit the comfort levels they were looking for.